The cost of mental and musculoskeletal ill-health in the workplace in terms of lost productivity and absence is well-documented. But there is much employers can do to be proactive, as cash plan provider Health Shield explains. Supporting wellbeing in the workplace is vital if a business wants to progress. A business’ most important asset is its staff and, if your team isn’t functioning at full strength, your employees may not be working with optimum productivity – as well as missing your legal duty of care. Health Shield Friendly Society Ltd specialise in providing cost-effective tailored employee benefits and services to companies looking to provide a holistic benefit offering to their employees. A good workplace wellbeing strategy should cover all aspects of wellness, taking both mental and physical health into account – and, crucially, how conditions can often be interlinked. 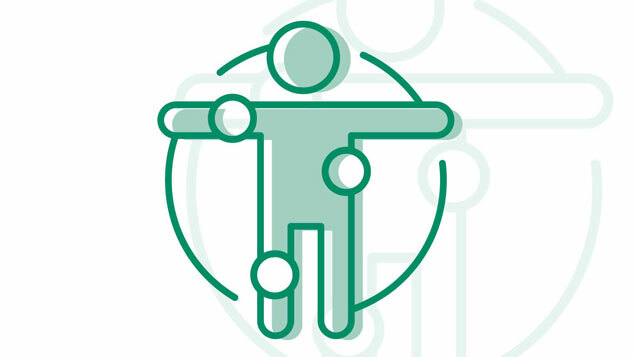 Mental and musculoskeletal (MSK) health, in particular, are closely connected and managers should be aware of the potential for one condition to affect another. 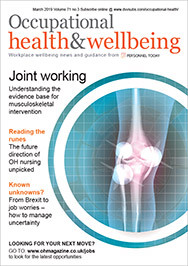 Jennie Doyle, head of product and marketing at leading health cash plan provider Health Shield, said: “The closely linked nature of mental health conditions and musculoskeletal health should not be underestimated. So how can your business ensure it is doing all it can to help employees stay well? It is vital that HR teams deliver a clear and thorough wellbeing strategy that helps employees understand how they can access help if they need it, and which equips managers with the skills to deal with issues, absences and returns to work. Health Shield is putting a focus on mental and MSK health in 2018, explains Jennie Doyle. “Insight from our clients told us employers needed more help understanding the best way to tackle these two conditions in particular. To better aid our clients with the right resources, we introduced our NHS-approved, mental health app, Thrive, earlier this year. “As part of our Tailored Health Cash Plan employers can give their workforce access to this app, which helps them improve and manage their own mental health, recognise warning signs and address any issues. It’s a great first step on the road for those who perhaps don’t require counselling or are nervous about raising concerns – Thrive lets them address their own health in private, through their mobile phone. ”Our clients also have access to our easy access physio service, called On-Demand Physio, which delivers quick, expert intervention assessment directly from a senior chartered physiotherapist, providing practical support to address any MSK issues,” Jennie continued. The Health Shield team has the following advice for creating or revisiting a wellbeing strategy. A workplace survey will give you a clear insight into your employees’ current health. Take steps to provide a suitable environment and ensure you get management buy-in for this. Put a plan in place to tackle wellbeing. Use insight from surveys or polls of your staff along with your own data on absences to see where the priority areas are. Equip employees with access to services and benefits that provide early intervention solutions that manage conditions before they worsen. Design a clear back-to-work process for managers and employees to follow after an absence to help establish root causes and identify and minimise risk areas for reoccurrence. Give employees real-time support – such as access to counselling or physiotherapy – to help them take steps to manage their own health. Jennie added: “With such a wealth of support available today, businesses are spoilt for choice when it comes to deciding what to offer staff. With a variety of dedicated plans available, Health Shield can offer a solution that provides the right care, at the right time, for the right individual. Health Shield estimates that the return on investment for focusing on mental health is 1:9, and the return for MSK disorders 1:10, meaning businesses stand to save a significant sum by keeping their teams well. These figures are based on the average annual saving when purchasing the Thrive app, and average percentage of employees referred per annum, the average cost per referral and the average ROI = 10:1, respectively. You can find out how much your company could save by using the On-Demand Physio service and the mental wellbeing app; Thrive, with Health Shield’s savings calculator – as well as an eBook guide to help you on your way to addressing MSK and mental health in your workplace. Visit healthshield.co.uk/msk-mh to find out more.